HMD Global is all set to unveil Nokia 8.1, the global variant of Nokia X7 in New Delhi, India at 5:30 pm. Nokia X7 was launched in China almost a month ago. The global variant was launched recently in Dubai therefore all the specifications are well known. Nokia 8.1 features a notched 6.18-inch Full-HD+ PureDisplay with HDR10 support. It is powered by Qualcomm's new octa-core Snapdragon 710 SoC clocked at 2.2GHz, coupled with 4GB of LPDDR4x RAM and runs on Android Pie. The phone is the successor to the popular Nokia 7 Plus that was launched earlier in 2018. 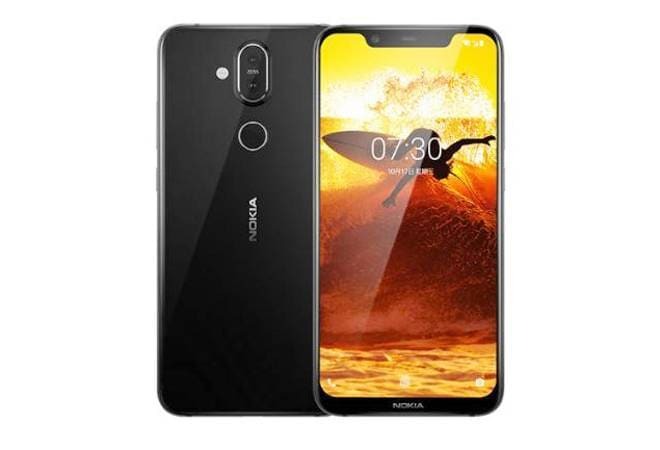 Nokia 8.1 carries a dual-Sim (nano) slot and is part of the Android One programme and therefore is guaranteed to receive at least two major Android OS updates. As far as display is concerned, the phone's screen has a 18.7:9 aspect ratio, i.e. 81.5% screen-to-body ratio, 500 nits peak brightness, and is capable of a 96% colour gamut. Introducing the new Nokia 8.1. 2-day battery life, improved ZEISS optics, PureDisplay screen technology, and a powerful Qualcomm» Snapdragonâ„¢ 710 processor, the new #Nokia8 gets smarter and better over time. Coming to the optics, Nokia 8.1 will offer a Zeiss-branded dual cameras on the back with a 12MP + 13MP configuration, and a 20MP front-facing camera. Connectivity options are said to include Wi-Fi, GPS, Bluetooth, USB Type-C, FM, 3G and 4G. Sensors on the phone are rumoured to include Face unlock, Fingerprint sensor, Compass/ Magnetometer, Accelerometer, Ambient light sensor and Gyroscope. The Nokia 8.1 will be offered in three colours - Red, Silver and Blue. In Europe, Nokia 8.1 was launched at 399 Euro. In India, however, HMD could launch the device at a more aggressive price point to take on the competition. The Nokia 8.1 price in India is expected to fall somewhere in between Rs 25,000 to Rs 30,000. To recall, the Nokia 7 Plus was launched in India at Rs 25,999.